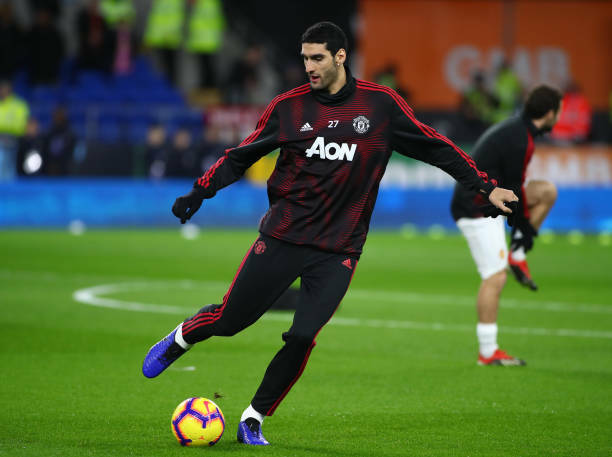 Manchester United midfielder Marouane Fellaini has joined Chinese Super League club Shandong Luneng. Fellaini traveled to China on Thursday to complete the deal that brings to an end five and half years at United. Fellaini, 31, joined United from Everton in 2014 when he became the first significant signing after Sir Alex Ferguson's departure as manager. He signed a new two-year deal last summer that was due to run until 2020. "Everybody at United thanks Marouane for his service and wishes him well for the future as he completes his move to Shandong Luneng Taishan FC in China," the club said in a statement. The Belgium international managed just three minutes of Premier League action under interim boss Ole Gunnar Solskjaer. He was signed for United by his former Everton manager David Moyes after making 141 Premier League appearances for the Goodison park club, scoring 25 goals and making 14 assists.